Enough of safe spaces, no-platforming, and other pathetic leaning-over-backwards to placate the sensitive snow-flake generation. Sir Michael Barber, the head of the new student watchdog has vowed to enforce free speech on campuses. He says that students or academics who prevented discussion or debate out of fear of offending others were on a “slippery slope“. Universities, in his view, “should be places of intellectual and personal “discomfort”. Being comfortable was a step towards being “complacent” or “self-satisfied” whereas he thought more profound learning required discomfort. The Office for Students will adopt “the widest possible definition of freedom of speech – namely anything within the law” when it begins monitoring campuses in April. In defence of students he thought this generation “was demonstrably the best educated in history, hard-working, thoughtful, curious and ambitious“. He then added “Then, just occasionally I read or hear something that suggests a potential threat to the freedom of speech that underpins such optimism”. I think the problem is more widespread than he is prepared to admit. I anticipate some universities will be criticised and fined, if not suspended. I have posted before about daft campuses. Categories: Education, Happiness, Lifestyle, Psychology, Relationships, Work | Tags: free speech, no platform, Office for Students, OfS, safe spaces, Sir Michael Barber, snowflakes, universities | Permalink. In the latest snowflake newsletter from Oxford University students are warned to be aware of micro-aggressions by the university’s equality and diversity unit (an oxymoron if ever I heard one as you’re not allowed to express different views anymore). So if you don’t look another student in the eye you might be guilty of racist behaviour. This is absolute poppycock. What about cultural differences where it’s considered inappropriate to look someone directly in the face? Or people who are shy, or introverts, or on the autistic spectrum? And don’t ask a black or minority ethnic student where they are “originally” from. It might suggest you don’t believe they are British. Well they may not be and what if you are interested in knowing more about other cultures? Isn’t that why you go to university – to expand your mind? The newsletter says that subtle everyday racism can appear trivial but “repeated micro-aggressions can be tiring and alienating (and can lead to mental ill-health”). It says some people who do these things may be entirely well-meaning and would be mortified to realise they had caused offence. “But this is of little consequence if a possible effect of their words or actions is to suggest to people that may fulfil a negative stereotype or do not belong”. Or they might just think “get over it”. The coordinator of the Free Speech Ranking project that highlights censorship on university campuses, called it ridiculous. “This is all part of a chilling desire on the part of university authorities to police not just opinions but everyday conversations between students. It’s not only deeply authoritarian, it has a chilling effect on how students interact with one another“. What about freedom of speech and encouraging students to think for themselves? All this advice is tiring and irritating to those of us who live in the real world. Oxford University has apologised for saying that avoiding eye contact could be “everyday racism” after it was accused of discriminating against, and criticised for being “insensitive” to autistic people who can struggle making eye contact. It said it had made a mistake and not taken disabilities into account. In a series of tweets, the university replied: “We made a mistake. Our newsletter was too brief to deal adequately and sensibly with the issue. “We are sorry that we took no account of other reasons for difference in eye contact and social interaction, including disability. Some academics argued the guidance was “trivialising racism“. Emeritus professor of sociology at the University of Kent, Prof Frank Furedi, said the newsletter’s authors “need a reality check“. It was basically a misguided PC argument put out by ill-informed people at what is supposed to be one of our top universities. Despair. Categories: Education, Lifestyle, Politics, Relationships | Tags: censorship, eye-contact, free speech, micro-aggressions, Oxford University, racism, snowflakes | Permalink. And not in a good way. The students there have already banned Tate & Lyle sugar from the campus shop, blocked six nations rugby being screened in the union bar, boycotted Starbucks and Nestlé, banned the dale of red-top newspapers (page 3) stopped sombreros being given out (cultural appropriation), and tried to ban UKIP from speaking there as it would make students feel less safe and secure. I understand some of these e.g. companies who avoid paying tax or discourage breast-feeding in poor countries (I boycott Nestlé products myself for that reason). Fossil fuel extraction and global warming is matter of opinion and I’m for anything Emma Thompson and her luvvie friends are against on principle. The university has provided day-time sleeping berths for hungover students. Why you might ask. Categories: Education, Happiness, Lifestyle, Politics, Relationships | Tags: cultural appropriation, free speech, safe spaces, snowflakes, students, students unions, UEA, university, University of East Anglia | Permalink. Categories: Lifestyle, Politics | Tags: Daesh, democracy, France, free speech, Isis, Islam, jihadists, muslim extremists, terrorists | Permalink. 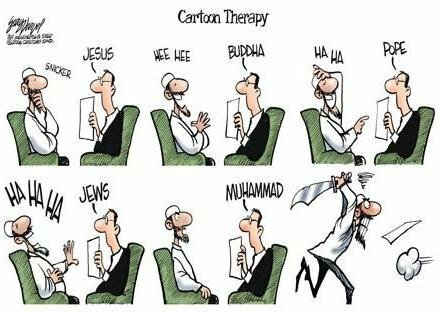 Categories: Relationships | Tags: AQAP, cartoon, Charlie Hebdo, extremists, France, free speech, Islam, jihadists, satire, terrorists | Permalink. Categories: Relationships | Tags: AQAP, cartoonists, Charlie Hebdo, democracy, extremists, France, free speech, Isis, Islam, Je suis Charlie, jihadists, terrorists | Permalink.